TACSI has published ‘Co-designing Thriving Solutions’: A prototype curriculum for social problem solving, summarizing the approach taken by its Radical Redesign Team. It includes a set of interactions and experiences that spread as principles, platforms, organisational models, and programs. Family by Family is a network that was initiated by TACSI. 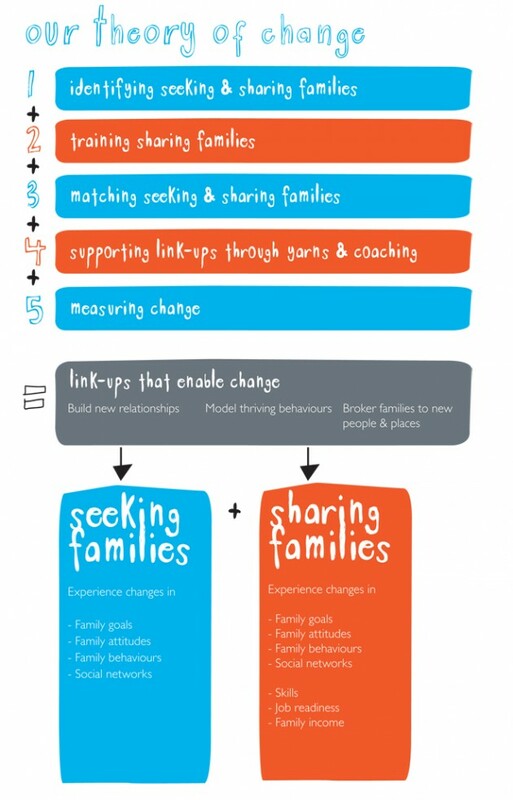 In this network, families are linked locally to help each other to make the changes they want to make, working together to achieve goals and moving towards sustainable well-being. The project started in Marion, and reached two more cities in other states, and it is planning to grow from local to regional scale.